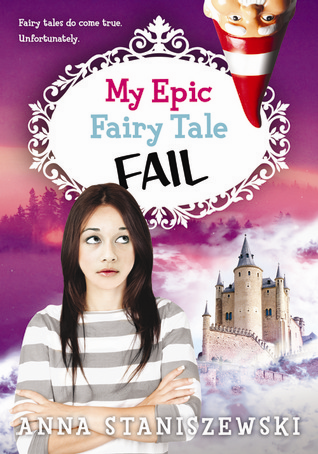 My Very UnFairy Tale Life & My Epic Fairy Tale Fail Book Review (Blog Tour) Plus Giveaway! 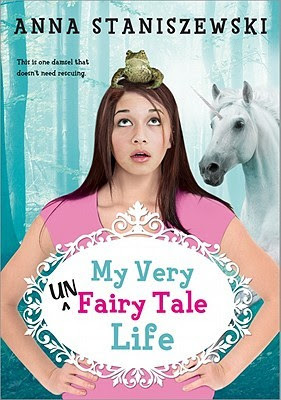 Back in December I shared with you all the prequel to the My Very UnFairy Tale Life series. This is still going on now, so if you'd love to read the prequel before reading the first two books in this series, you can get your e-copy here! Now below are my reviews for both book one and book two of this hilarious, sweet series. I hope you all enjoy the reviews and please enter our giveaway to win a copy of both books! You know all those stories that claim fairies cry sparkle tears and elves travel by rainbow? They're lies. All lies. I've spent my life as an official adventurer. I travel across enchanted kingdoms saving magical creatures and fighting horrible beasts that most of you think are only myths and legends. I've never had a social life. My friends have all forgotten me. And let's not even talk about trying to do my homework. So -- I'm done!! I'm tired and I want to go back to being a normal girl. But then along comes "Prince Charming" asking for help, and, well, what's a tired girl like me supposed to do? This was such a cute and funny book. My daughter is probably a year away from reading this since it's for ages nine and up, but I'm sure this Summer she'll definitely want to read it. She got excited from the book just by the cover. Anyways, I loved this story. It was cute, charming and funny. I adored the main character, Jenny. Even though she was hopping through Fairytales, I could still in some way connect with her. I think because her character isn't magical in any way or portrayed as perfect. I loved how witty and funny she is and how she helps those that need it. Definitely a good lesson in this book for younger kids. Fairy tales do come true. Unfortunately. Jenny the Adventurer is back, and this time she's off to the Land of Tales: the crazy place that all fairy tales come from. If she can defeat an evil witch and complete three impossible tasks--all without getting eaten by blood-thirsty monsters--Jenny might finally get some answers about what happened to her parents. This is one adventure Jenny can't afford to fail. I'm absolutely loving this series. And you guys, book two gets even better. You still have smart, fun, witty main character Jenny and she's on another adventure. This time she has to go head to head with an evil witch and on a path that can lead her to finding her missing parents. Since the second book is out about a year and a half after the first part of the series you can see a chance and a somewhat maturity in Jenny. She's still funny and witty, but you do notice a bit of aging. We're also introduced to two of Jenny's best friends who accompany her in the new adventure What I loved about this second part of the series is that there was a bit more mystery in it and lots of little twists that keep you guessing. I'm excited to read the next installment! Both books are definitely easy reads, I read both books within two days. They're also filled with plots that makes this a great page turner and you know if I love it, kids in middle school will love it too! Disclosure: All opinions are my own. I received both books above at no cost for the purpose of this review and book tour. No other compensation was received.